In order to understand your place in the world, you need to experience the world…. 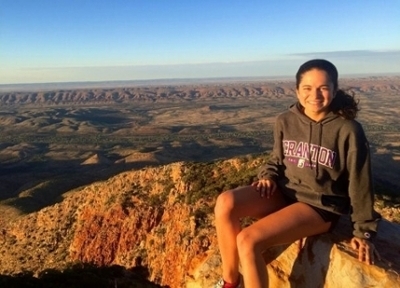 One of the most common remarks students make upon their return to the University of Scranton after studying abroad is that “it was a life-changing experience.” Studying abroad provides the opportunity for students to develop skills, knowledge and experience that they simply cannot gain while in residence at the University of Scranton. Not only is the experience abroad “life-changing” from a personal perspective, but it also serves as a way to distinguish oneself amongst peers after graduation from the University. Most American college students do not study abroad and as a result, prospective employers and postgraduate academic programs are generally very interested in a student’s international experience. In short, studying abroad allows you to grow in personal as well as professional ways. It serves as a building block for future endeavors: personal, professional or academic. Students have engaged in community service projects while studying abroad. Students have participated in internships while studying abroad. Students are able to take courses not offered at the University of Scranton.